This SANLORENZO 72 is without a doubt the finest example of the Sanlorenzo SL72 series on the market. She has had very little use and has been professionally maintained by her permanent crew and an attentive owner. The SANLORENZO 72 comfortably sleeps 7 guests in 4 well-appointed cabins, one of which can be converted into an office opening onto the hallway. The SANLORENZO 72 boasts full options with a customised light-coloured wood interior and several material upgrades. Viewings are highly recommended in Monaco as this yacht represents a fantastic purchasing opportunity. This SANLORENZO 72 is without a doubt one of the best examples on the market, offers welcome. Please click on the « Full Specs » tab for complete details of this Flybridge Yacht. 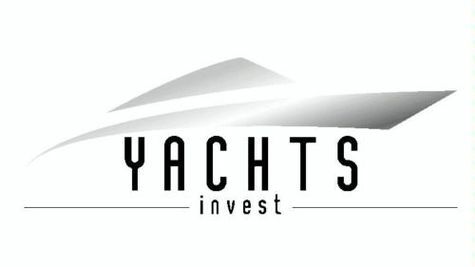 YACHTS INVEST iis a team of experienced and professional Yacht Brokers offering new and pre-owned boats for sale, charter, boat rental and management of luxury Yachts in the FRENCH RIVIERA, CANNES, MONACO, ANTIBES, SAINT-TROPEZ, IBIZA, the BALEARIC ISLANDS, SPAIN, TURKEY and the rest of the MEDITERRANEAN. YACHTS INVEST Cannes is also a certified boat dealer of the following shipyards: ASTONDOA YACHTS, GOLDWATER TRAWLERS, GIANETTI YACHTS and DL YACHTS DREAMLINE. We are also direct partners with The Italian Sea Group (ADMIRAL and TECNOMAR) and ITALIA SUPER YACHT for France, the Principality of Monaco and Turkey.